12 Pack plastic colored table cover. The size of the tablecloth is Round 84". Our table cloths have a very high opacity so that they can be used on any table with a minimal transparency. It is good for both outdoor and indoor usage. Your tables will look elegant with these beautiful table covers. Disposable works. 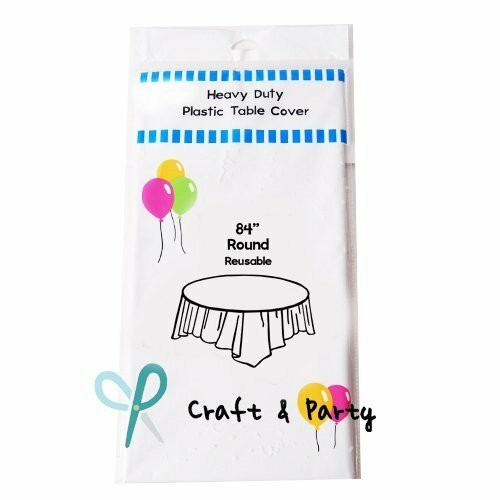 When the party is over, cleanup is easy - just roll up the table cover and dispose of it OR you can clean it/ wash it and reuse it!! If you have any questions about this product by Ever Shine, contact us by completing and submitting the form below. If you are looking for a specif part number, please include it with your message.